Someone on a Segway always gets attention, which makes this striking and innovative personal form of transport an excellent mobile publicity vehicle; its visual impact makes your brand or promotional campaign memorable. The considerable visual impact afforded by advertising on a Segway improves the cost-effectiveness of a campaign or promotional strategy. 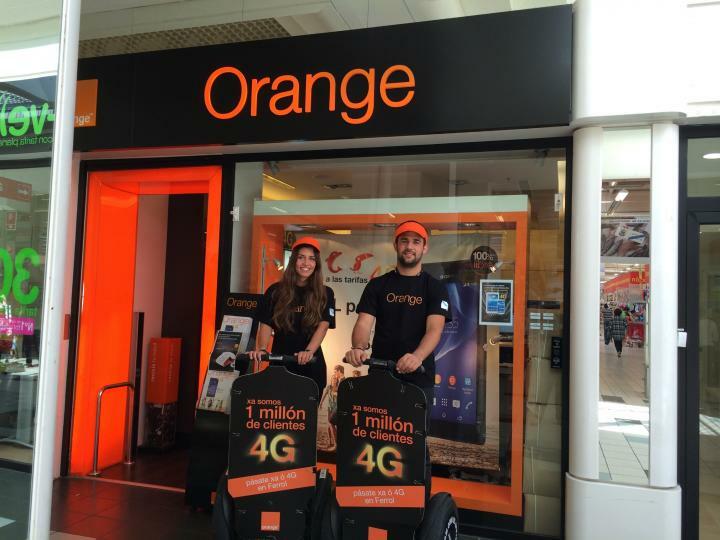 Thanks to its versatility, it can adapt to any idea or image that you want to convey; publicity campaigns that use Segways get results as it is a mobile form of publicity that manages to get the message to the target audience. 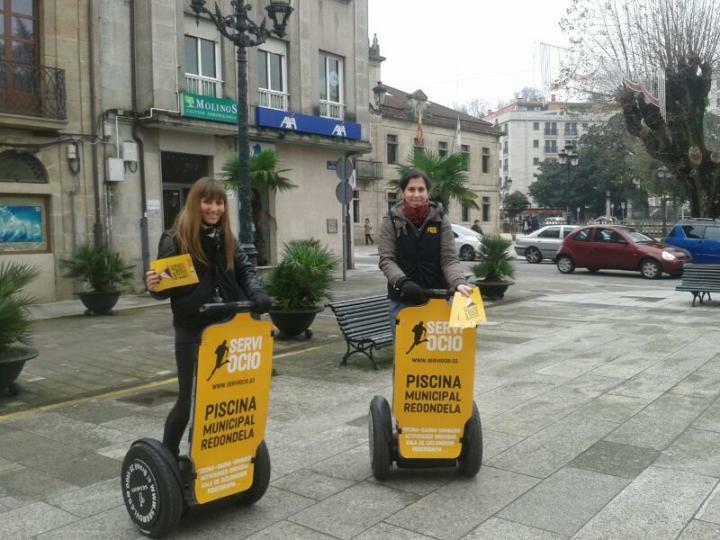 ¿Who can drive your publicity on a Segway? Distribution of leaflets, flyers, magazines, etc. We are convinced that your company or organization will attract the attention of your target audience using this publicity support integrated into these superb vehicles. At Segmovi we rent our equipment daily, weekly or monthly; we have our own publicity support design or we can accept the specific designs of our clients, with or without hostesses. We have different approaches that adapt to the different needs of our clients. Contact us and we will give you a customized quote. Logistics, security and surveillance, events, advertising campaigns, etc.